Pantai Teluk Cempedak which can reach by 10 minutes from Homestay Cikgu Bandar Putra and by 22 minutes from Homestay Cikgu Indera Sempurna. 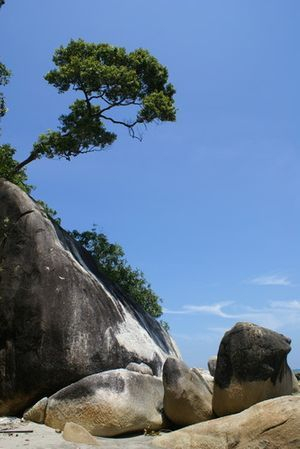 One of well known beach in Kuantan. Full with crowds almost everyday, looking for fast outlets nearby such as Drive Thru 24 hours KFC, Drive Thru 24 hours McDonalds and Burger King Restaurant. There are many local food restaurants with many choices & varieties. Shops' and souvenirs outlets' owner are always welcome any visitors with friendly smiles.Many families spent their evening by letting their children play kites, sand castles, play at playground and even swimming. It's a beautiful beach...with many people around that makes us feel happy and enjoy it so much.